The Do’s & Don’ts that Most Don’t Know about! Able to Respond to new listings before others…Be first in! Mercury 5 Sky Business and Commercial Sales specialises in representing owners of businesses and commercial properties, facilitating & introducing them to qualified buyers and investors which dramatically increases the probability of business owner clients exiting for a profit, which reflects the value & what has been invested into the business throughout its trading history. If you’re looking for a business broker, or brokerage has teams of business sales agents which their skills have been proven time and time again with track experience. This unique service, allows us to step in, on behalf of our clients, not leaving them to sell their own businesses. Having a high number of sales and business transfers as our history, allows us to implemented for each and every client, one of the most important, highly systemised and proven system which maintains each business’s confidentiality, while going through the transfer process. Our Gold Coast business brokers, Brisbane business brokers, and Sydney business brokers are your first point of contact when it comes to buying, selling, or appraising a business. 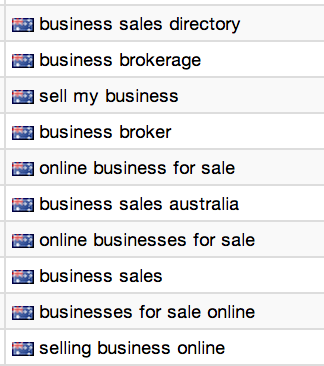 On average, our conversions annually for every business listed and then converted to money, for our business owner’s has been extremely high, representing nearly every type of industry over our many years of trading, as with helping top Australian companies & businesses who may be only a few in the nation to maintain their confidentiality, all while one of the most suitable buyers are matched to their organisation – always being within a short time (you should see our statistics). Our performance statistics posted for years, have not only improved over time, but have provided each one of our clients a higher than average conversion rate from listing through to sale. Mercury 5 Sky has extensive experience in the fields of selling business online, as the leading Brisbane business brokerage as well as Gold Coast business brokerage. If you’re looking for a business broker with a comprehensive and holistic approach to business sales and dealing with all businesses for sale, from online businesses for sale- our resources combined result in a business sales directory which has some of the most extensive resources in the industry. if you’ve woken up one day and said- “I want to sell my business”- then we are the ones to call.